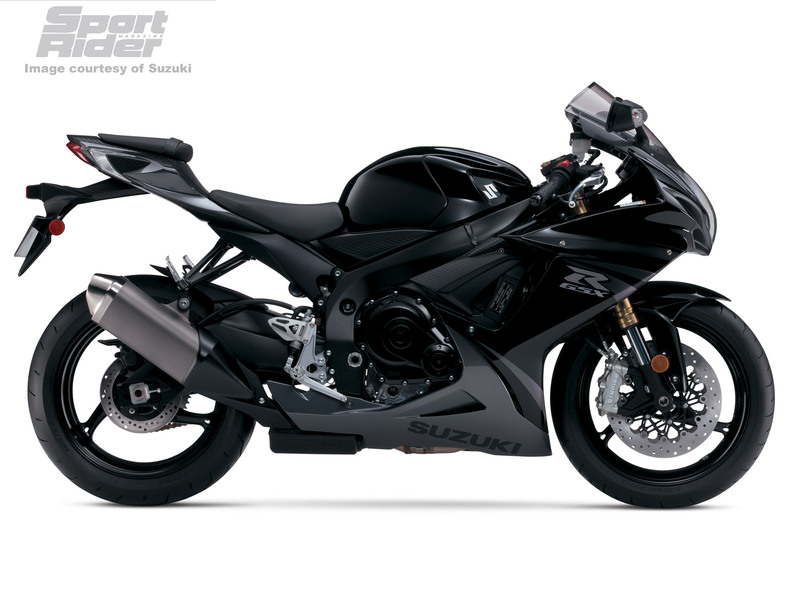 I have pretty much decided upon the GSX-R750, and the votes on colour went pretty much the way I had expected, black being most peoples favourite and mine as well. I had been running through most of the other manufacturers and styles of bikes, just to check that there wasn’t something else out there that I would be interested in, that was close in price to the GSXR. There are some exotic bikes that I would consider, but their price pushed them out of the running. Otherwise they were bikes I wouldn’t ride, or were similar to my VFR. No fuel gauge? What is this 1913? 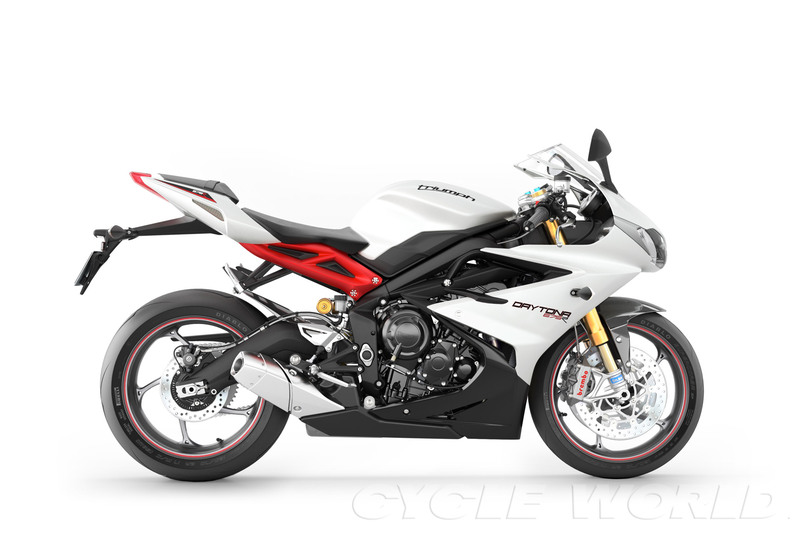 I rang Triumph to get a quote for their Daytona 675. Unfortunately they don’t have any, and won’t be getting anymore. Because in February the 2013 bike comes out… and its an all new bike. The price was also close to the GSXR, so I did some research on the bike and the GSXR now has a challenger, at least until I ride the 675. Let’s put a white bike against a white background….. The 675 does give up a little bit to the 750, but reviews of the older 675 suggest it’s actually easier to ride on the street, with the torque curve lower down. However the riders position is more aggressive, so perhaps not so good for longer rides or commutes. At higher speeds, the 750 would pull away easily from the other bike. So now its a proven 750 with a lot of good stuff that I’ve eyed up for a long time, or the newcomer with all the extras, that I might find less enjoyable in the long term. The other thing is that I can walk into the Suzuki shop and basically ride out (almost) but the Triumph I could well end up on a waiting list. And I do want to strike while the iron is hot. I’m going to post this here, so I can keep it a surprise from most of the guys I ride with, but I’m really excited and have to tell someone. I already have looked through a lot of bikes, and previous posts have discussed some. I test rode a GSXR-600 a couple of months back and enjoyed it, but most of the people I’ve discussed the matter with (in roundabout ways so as not to arouse suspicion) have agreed that the 750 is a better buy, a couple who have the 600 wishing they had the budget to stretch to it. I like the 700-800 capacity after my many years on the VFR800 that I ride. 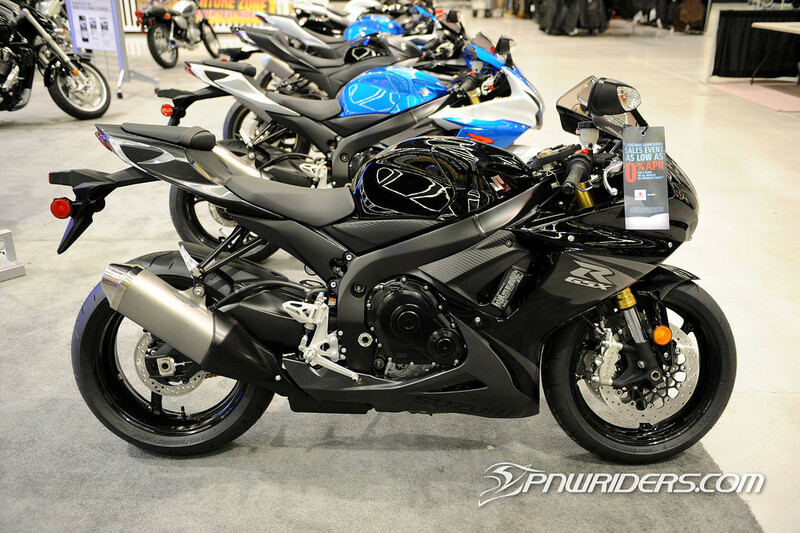 So a Suzuki GSXR-750 is on the shopping list. And here is your part dear reader… colour choice. First up…. 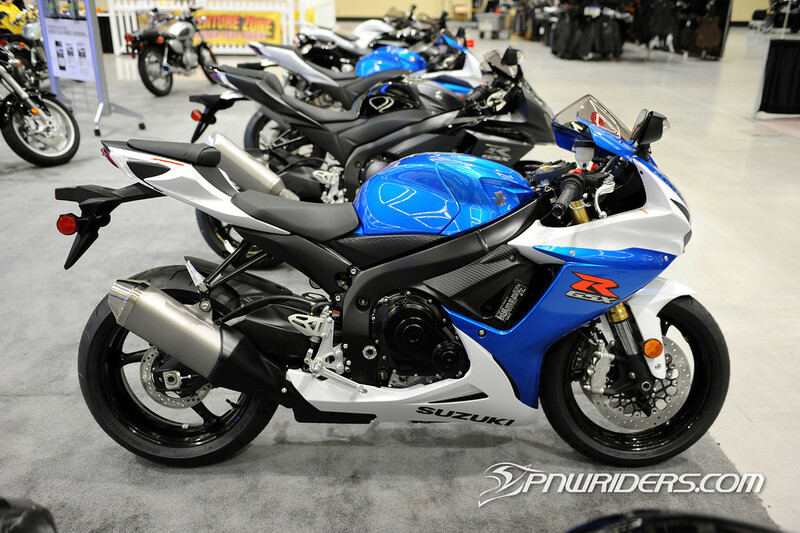 Blue/White, the classic Suzuki sport bike colours. Or Black, with a tiny bit of grey running through it. Okay, it’s probably already decided, but I would love some input from the peanut gallery. Comment on your colour preference. *okay, so that’s probably pretty unfair to my Mrs. One of her motivations is that she’s worried I’ll have a crash because my bike is old (it’s only 9 this year, its not like its 30!) which is a pretty nonsensical fear, but really sweet.